(PRLEAP.COM) Elementor page builder is a popular drag-and-drop solution that is in great demand among WordPress fans worldwide. With its help, you can create absolutely versatile web pages on your own, even if you o not have any special design or developments skills. Building personalized pages becomes possible as you simply work in the intuitive visual mode and watch the results of your actions in the real-time. Taking into account the public interest in the Elementor-base digital products, the decision was made to release a bundle of Elementor WordPress themes and plugins. This is the all-inclusive pack that will appeal to all WordPress fans and those of you who enjoy working with the drag-and-drop functionality especially. For $69 ONLY you will download a bundle containing 15 Elementor-based WordPress themes and 5 Elementor plugins. (Just for you to compare: downloading every item from the bundle independently will cost you $1199). The ultimate WordPress bundle contains 15 Elementor-based themes and 5 extensions that are designed and developed to work with Elementor exclusively. The topics of WordPress themes vary from personal blogs, one-page and startup projects to the ready-made designs that can be used as the foundation for eCommerce and large corporate web projects. Here are several of the highlighted themes that are included in the bundle. 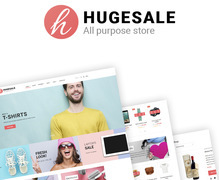 Hugesale is a feature-rich WooCommerce theme that's ready to be used for the quick start of a range of web stores. The theme includes all tools and customization options that are needed for the quick start of conversion-oriented web pages. There are niche-specific skins included for free, which saves you lots of time on the modification of the theme's layout. 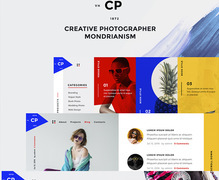 CPM- Creative Photographer is optimized to handle photo-rich web projects perfectly well. The template will be the best choice for the launch of designer and photographer portfolio websites. It is optimized for the flawless performance in all web environments. 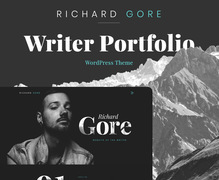 Richard Gore WordPress template will be the best choice for the launch of professional writer portfolios. It is readable and intuitive-to-navigate. The layout looks clean and well-balanced. The easy-to-follow navigation patterns make it easy for the web users to come up with the necessary pieces of content in a matter of clicks. All of the pre-designed pages and layouts are ready to be modified in the intuitive visual mode. • JetParallax plugin to enhance the pages of your website with the captivating parallax scrolling layers. You'll be able to manage the animation speed, mouse move and scroll behavior type, custom position settings, etc. • JetTricks plugin will help you improve the appearance of your site with such visual effects like hotspots, particles, tooltips, sticky columns, unfold, show more functionality, etc. • JetWooBuilder plugin is intended for the development of web stores. The plugin contains all widgets, ready-made layouts, and product pages that you will need to develop a usable and functional online store. • JetMenu plugin will come in handy when you decide to add MegaMenu to your site. • JetElements is a rich collection of addons for Elementor. With its help, you can modify and display fully customized brands, progress bars, banners, contact forms, post carousels, testimonials, WooCommerce elements, and other pieces of data effortlessly. Apart from the luring cost of the bundle, there are plenty of other reasons why this offer is worthy of your attention. All premium-quality digital products from TemplateMonster include free 24/7suport. The bundle is no exception. Whatever kind of questions you may have about the use and modification of any item from the pack, you can always rely on the professional assistance of our technical support team. The bundle can be used even by the newbies. All themes are pre-loaded with the drag-and-drop functionality, making it possible to tweak the ready-made designs without any special design or programming skills. Elementor page builder is loaded with all features, modules, and design elements that are needed for the quick and seamless personalization of the designs as per your own needs. Many themes that are included in the bundle are multipurpose, featuring additional skins and extensions that are suited for the launch of niche-specific online projects. 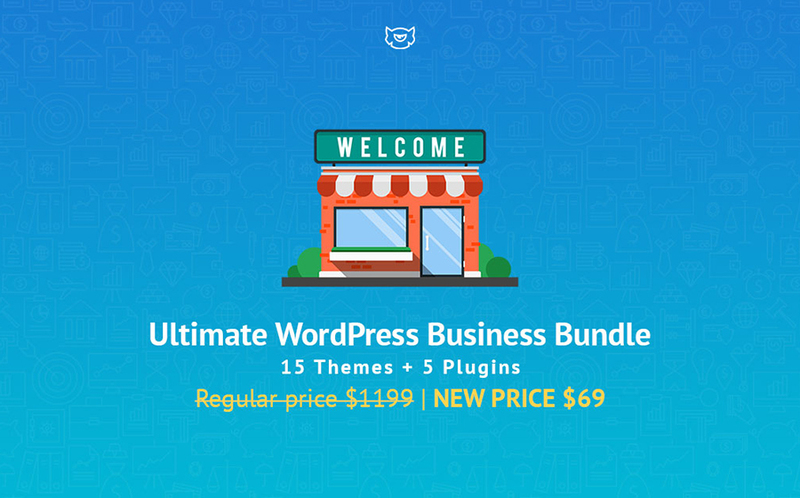 In such a way, buying the bundle you receive access to more than just 20 premium WordPress items at a time. "This is not the first bundle that we present to TemplateMonster audience. However, this is one of the most impressive solutions that we've ever created. For $69 only (i.e. 6% of the full price) you can put your hands on the impressive collection of themes and extensions that are ready to be used for the quick launch on any niche-specific web resource of yours. This is a limited-time offer. So, you should better hurry up and grab it now!" – David Braun, CEO at TemplateMonster.